Well, the average person’s diet contains about 55% of carbohydrates, 30% of fat, and 15% of protein. On this diet, our bodies take and break down carbohydrates for energy primarily, and then move to the breakdown of fat for that energy. If the energy from the fat is not needed, the fat is then stored. A person on the Keto Diet would be cutting down to be consuming only about 5% of carbohydrates, while consuming 80% of fat, and 15% of protein. 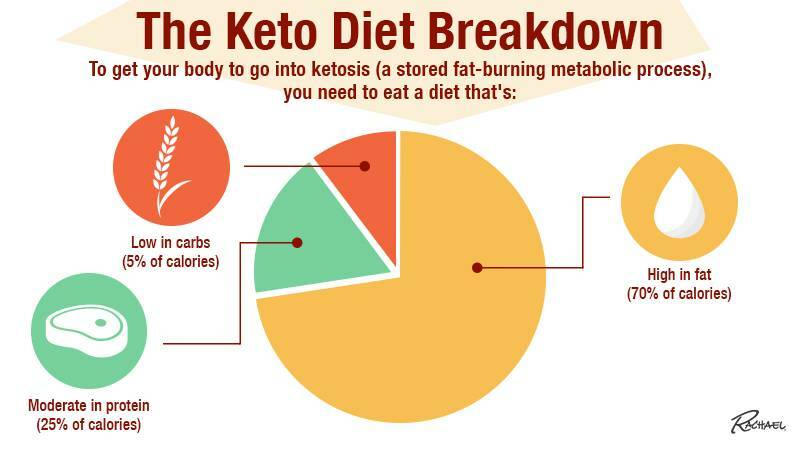 Well, when consuming a lower amount of carbs, your body enters a state called ketosis, where it breaks down fats in the liver primarily and produces ketones for energy, rather than storing the unused fat. The end result of this process is a much faster turn around when it comes to weight loss through the active starvation of carbohydrates, not calories. It is known to many to have the benefits of fasting without actually fasting. Want to know more specifics on the possible benefits and drawbacks of the Keto diet? Read our blog article here! Here is a great infographic displaying the types of foods with lower carbohydrates that can be eaten while on the Keto diet. Fish, seafood and red meats contain fewer carbs than eggs for example, but eggs and fresh veggies can still be great low-carb foods to include in your diet. WAIT! If you’re thinking about doing the Keto diet, make sure to do your research fully before starting anything. 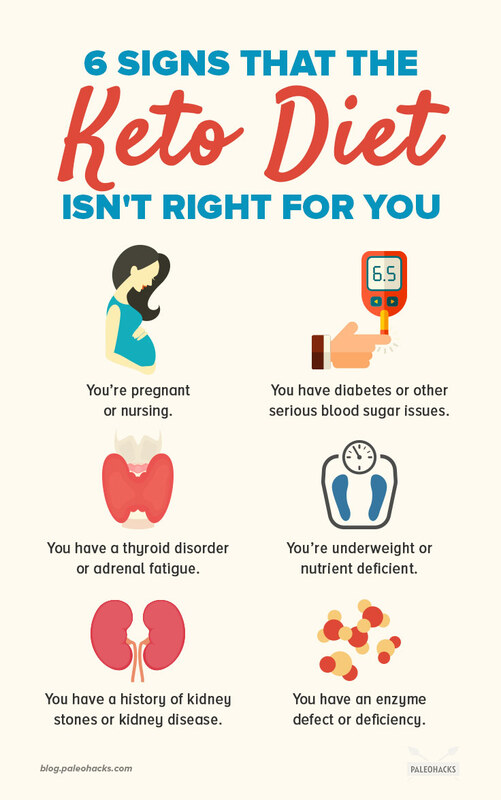 As the Keto diet involves changing your body's insulin production, as well as your blood-pressure, people who have diabetes, high blood pressure, or who are breastfeeding should take extra precautions and considerations before swapping over to this diet fully. And always remember, the most effective form of weight loss is exercise and a healthy well balanced diet.